Corporate Social Responsibility is a full-fledged activity of the Group for which the Thumbay Foundation was formed as a charitable arm established to support charitable activities in Healthcare, Education and other areas for the upliftment of the weaker sections of society. Thumbay Foundation provides funds and support by the provision of scholarships, grants, bursaries, awards, fellowships, endowments, donations and other forms of financial assistance to students pursuing any level of education or training in any educational or training institution or establishment. 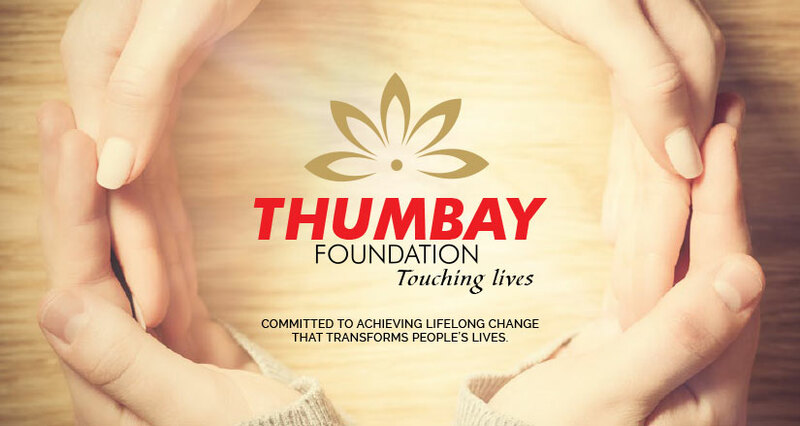 Along with many other charitable initiatives the Thumbay Group is at the forefront among business houses that see philanthropy as a duty to society and as an act of giving back rather than an act of charity. The Foundation is committed to achieving lifelong change that transforms people’s lives. We support the deserving & needy. When making grants, we think long-term, believing that lasting social change requires substantial long term effort. To work towards uplifting the economically weaker sections of the society. To bring about a positive impact in the society as a whole, through comprehensive activities addressing the needs of education, healthcare, employment, as well as other social needs. Vision: To be able to touch and transform lives in a meaningful way. The Sponsor a Student program sponsors more than 20% students yearly for various medical courses in Gulf Medical University. Thumbay Hospitals and clinics have been regularly holding free health camps which free doctor consultations, free laboratory and radiology tests benefiting thousands of poor and needy patients. Around 2200 families have been employed and benefitted from the business establishments of Mr. Thumbay Moideen. Many economically weak individuals have benefited from the foundation’s marriage assistance fund.